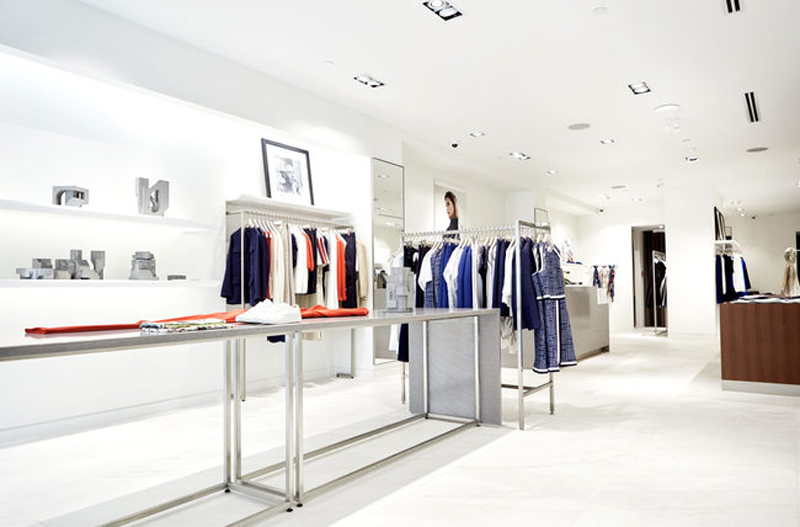 Canadian womenswear brand Judith & Charles has opened a new flagship store in Montreal’s historic Golden Square Mile Neighborhood, at 2090 de la Montagne. The new 2309-square-foot space will replace the brand’s current retail location at La Maison Ogilvy. The relocation was prompted by the recently announced merger of Holt Renfrew and Ogilvy, which will give birth to Holt Renfrew Ogilvy come 2020. “Many shop and shops had left Ogilvy and moved to Rue de la Montagne, and we ourselves locked in the location confidently,” explained Judith & Charles’s Marketing & Public Relations manager, Cassandra Wakefield, to Fashionnetwork.com. The new store was designed to embody Judith & Charles’ upscale experience and the brand’s “less is more” esthetic, channeled through its interior featuring clean lines, natural materials, and a neutral palette. Designed by Judith Richardson and Charles Le Pierrès, Judith & Charles is a womenswear line based in Montreal, Quebec since 1990.